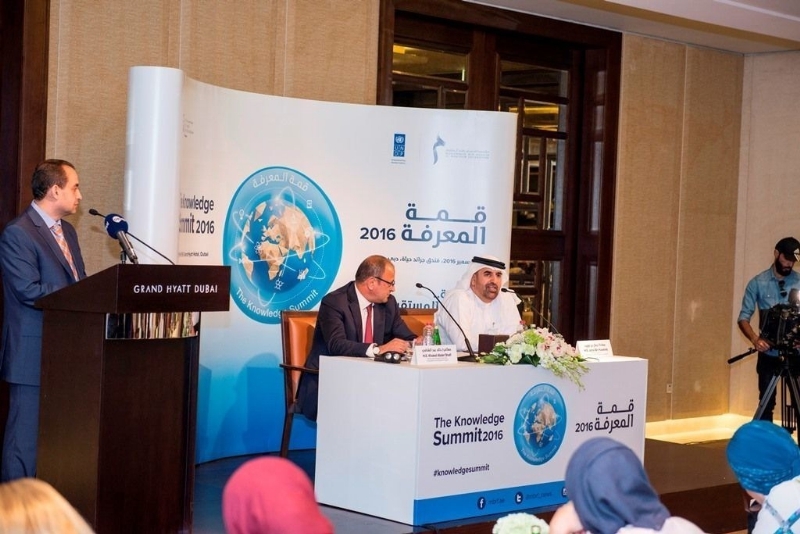 DUBAI, UAE: PRNewswire: Mohammed bin Rashid Al Maktoum Foundation (MBRF) reveals the details surrounding its third annual Knowledge Summit – set to take place in Dubai on December 5-7, under the theme “Knowledge – Present and Future”. The Knowledge Summit 2016 will explore the concept of planning for the future, while highlighting Dubai’s singular experience in this domain and the efforts and initiatives that have been put forward in this area. The summit will also discuss the future of sectors deemed vital to the development of countries – most notably, reading, which forms the core of industries such as knowledge, medicine, technology, and education. The Summit will witness the launch of the “Reading Index” in collaboration with United Nations Development Program (UNDP) – an effective tool that tracks knowledge-related initiatives and measures their impact on communities in the Arab region. Furthermore, the summit will explore the current status of reading in the Arab world as measured against international indices, and, in a dedicated session, provide an analytical overview of the results of the “Arab Reading Index”. Another session, meanwhile, will examine the potential of current initiatives to develop the state of reading in the Arab region, and to spread a reading culture among the youth and the rest of society. The sessions will look into the concept of the “media of the future” and the role it can play in moulding an individual’s personality, and into the influence that social media can wield on its traditional counterparts. A session titled “Media and Its Role in Building the Future” will look into the media’s potential to shape public opinion and change a society’s customs. As with all previous editions, the 2016 summit will include the Sheikh Mohammed bin Rashid Al Maktoum Annual Knowledge Award, which honours individuals who’ve made notable contributions to the dissemination and production of knowledge around the world. A spectrum of events and workshops will also be organised on the sidelines of the summit.